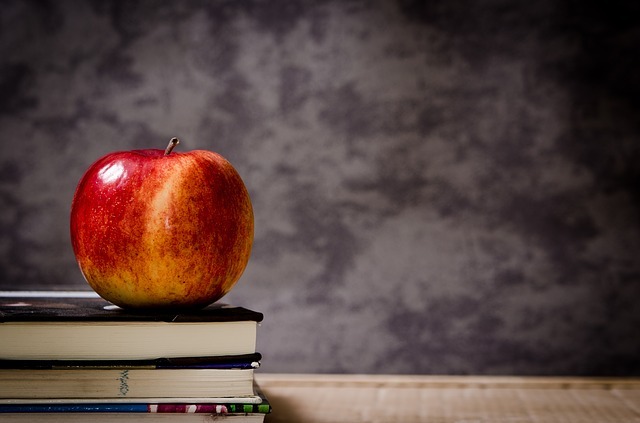 HARTFORD (CN) – Opposing reductions in education funding they say will put “children’s futures at risk,” Connecticut’s largest teachers union and three communities asked a court Wednesday to enjoin the governor. 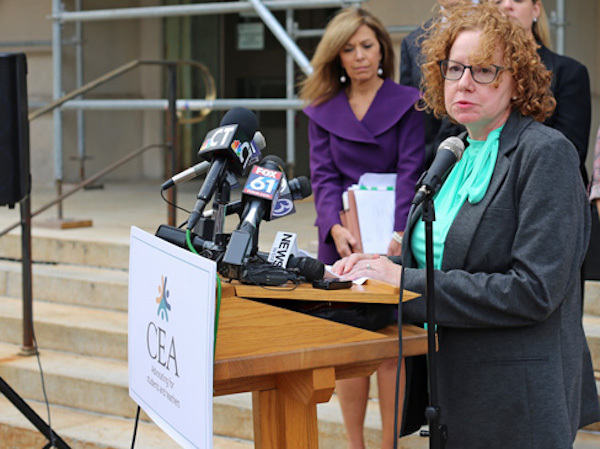 House counsel for the Connecticut Education Association brought the complaint against Gov. Dannel P. Malloy in Hartford Superior Court. Along with Brooklyn town, Plainfield town and the city of Torrington, the challengers say Malloy lacks the authority to cut education spending in the absence of a state budget. Malloy has been running the state by executive order since July 1. Though the average cut in funding under the executive order is 27 percent, Williams said, towns with higher poverty will be hit worse. Brooklyn will see a 40 percent reduction in their education funding, Plainfield will see a 40 percent reduction, and Torrington will see an 80 percent reduction from what it received this year. Williams said local elected officials wanted to join them for the press conference Wednesday, but they were busy trying to figure out how to account for the revenue losses. In Torrington, for example, if the state continues to operate under an executive order and the city is forced to use of all of its reserves to continue to operate, then it would still face an $11 million gap in funding in its local budget. Veronica Gelormino, a teacher at Torrington Middle School, said Torrington is not a wealthy community. “We have significant poverty in our town and as a teacher I see it every single day,” Gelormino said. She said cuts of this magnitude jeopardize the ability to provide a high-quality education for all. The first quarter of the education payments went out on Oct. 2, weeks ahead of the usual schedule. The three plaintiff communities are some of the 54 communities that received less than they did last year. There are 85 communities that didn’t receive any education funding under Malloy’s revised executive order that went into effect on Oct. 1. Earlier in the day Wednesday, Malloy called the lawsuit premature. Malloy said he also thinks they’re going to have a hard time making an argument that the state needs to fund these grants when it’s operating under an executive order. “They will also have to handle the fact that we have a lot less money to spend without a budget than with a budget,” Malloy said. Williams said the payments have already been made to towns, and the towns are having to deal with the consequences of those spending reductions. “It is absolutely ripe,” he added. Williams said the plaintiffs are basing their arguments on State v. Staub, the court case that set the precedent used to determine how money should be spent in the absence of an appropriation from the legislature. It was decided 125 years ago. Williams said when the state faced a similar budget problem in 1991, then-Attorney General Richard Blumenthal opined that it is not the governor who appropriates state monies, it was the legislature. Williams said the opinion is clear that the towns should receive the same amount of education funding they received this year. The parties are expected to meet with the judge on Nov. 6 to set a briefing schedule.